The original 5 story structure undergoing integration. We came across another residential project where the original, more historic, facade is undergoing integration into a new structure. 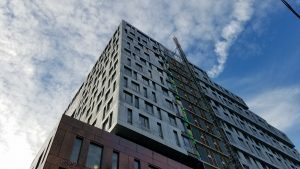 This project, located at 24-16 Queens Plaza South in Long Island City, seems to have gone under several iterations before settling on a plan of integration. 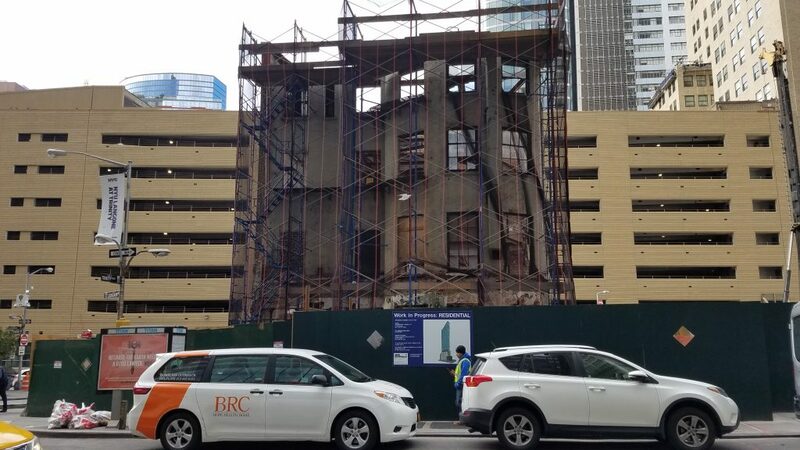 For example, original DOB records indicated the full demolition of the original five story “Department of Commerce” structure. However, the most recent plans that were approved by DOB clearly show the new structure and 1925 structure co-existing. The rear facade of 42 Trinity Place, aka the Robert and Anne Dickey house. The real estate boom pushes the New York City skyline ever higher, but its relentless pace has come at the cost of history. The Robert and Anne Dickey house could’ve been the next tragedy, but the Landmarks Preservation Commission voted to save the structure in 2005 (thanks to zealous advocacy). 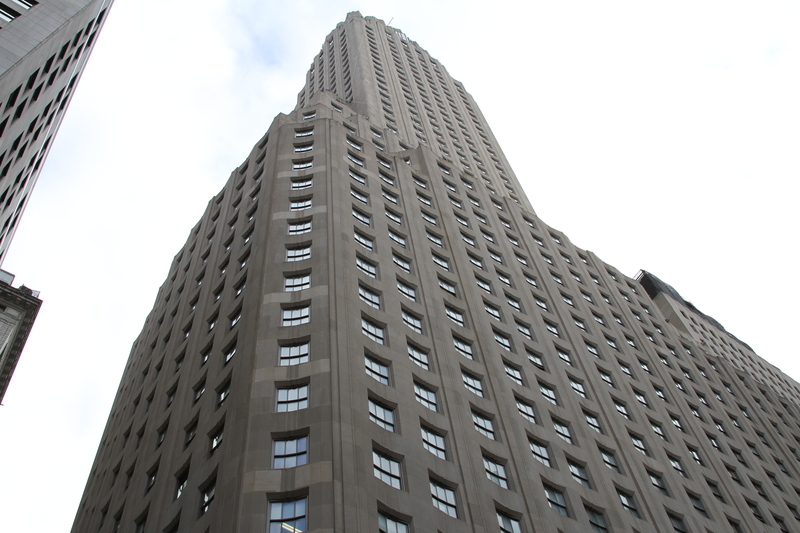 Ephemeral New York covers the structure’s extensive history. 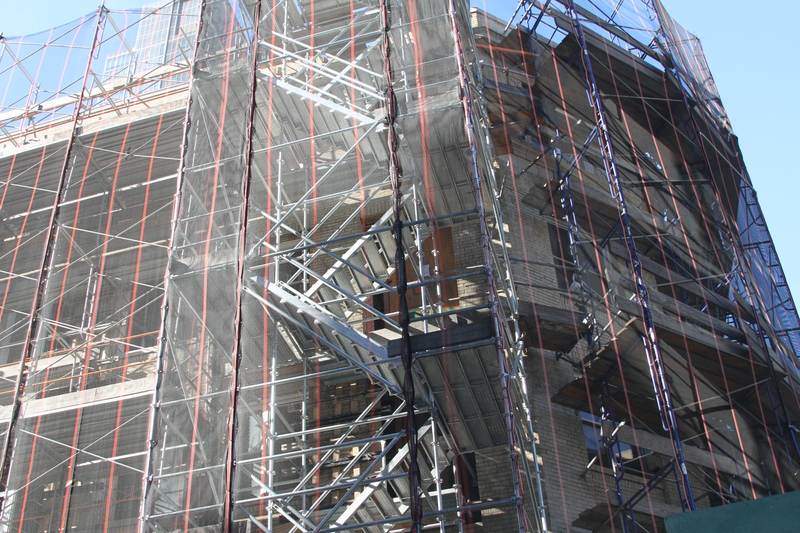 The historic building will be integrated into the new construction. A charming piece of prewar history gave its life for yet another monolithic glass residential box. 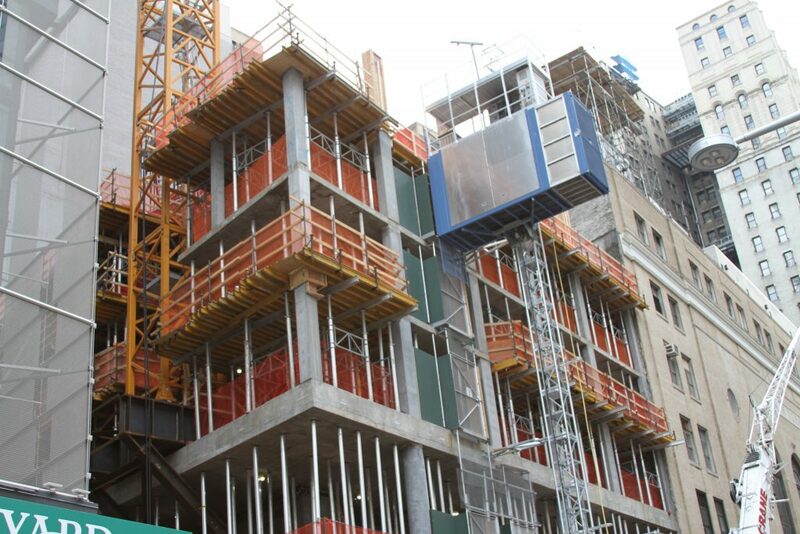 Owner VS 125 LLC is making headway on its 72 story skyscraper, as construction has moved past the fourth floor and construction crews prepare work on the 5th floor. Only 67 stories to go! Yet another massive commercial to residential conversion is underway in the Financial District, although the trend of conversions is nothing new. Perhaps the most remarkable of them all the Woolworth Building conversion, offering multi-million dollar condos carved out of marble (no affordable options). Construction at this soon to be 1000+ foot supertall residential skyscraper is making progress clearing debris in preparation for foundation work. But there doesn’t seem to be much information regarding affordability. Owned by Madison 45 Broad LLC, New York City Department of Finance (DOF) records do not show any 421-a tax abatement for this property that would convey rent stabilized status, while ACRIS records do not indicate any affordability regulatory agreement with HPD. But I’m sure the views are spectacular! 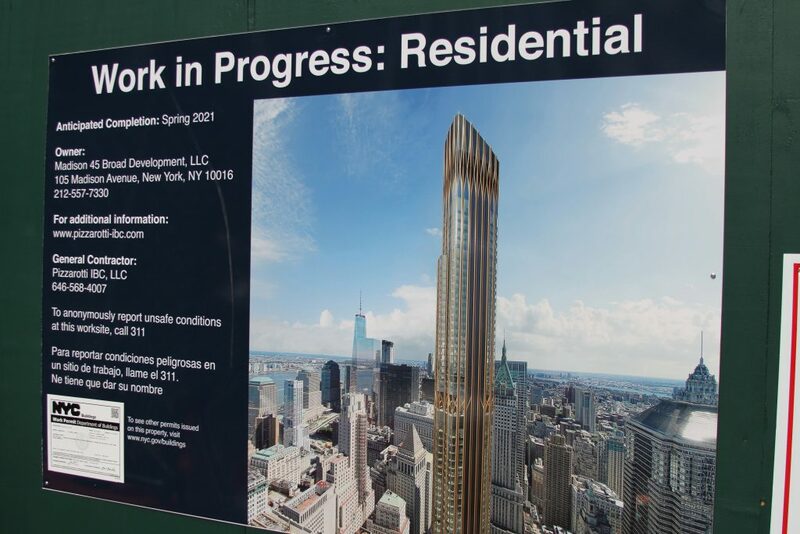 432 Park Avenue’s reign as the tallest building (by roof height) will soon be at an end. 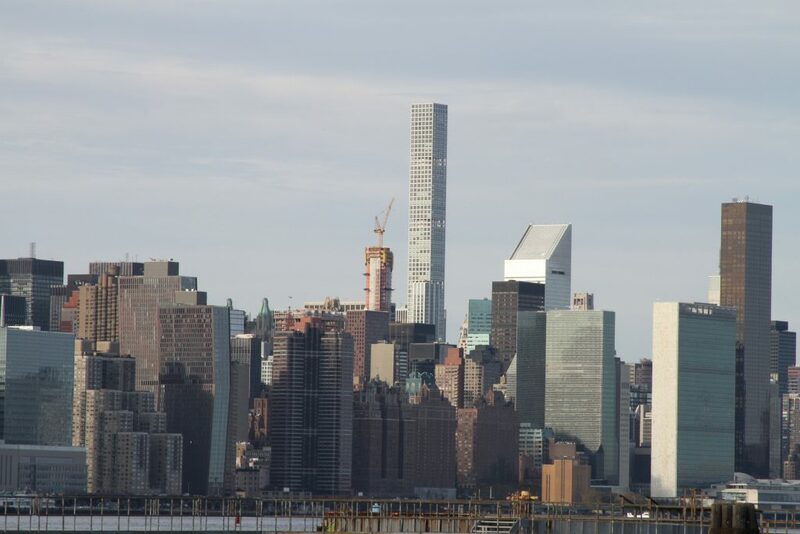 The 1,396 foot high structure contains 86 stories of pure luxury, with 0% affordability. The building stands as a testament to the seismic shift in construction in New York, with luxury condos now standing as the symbol of the Big Apple. Perhaps the same may have been said about the Empire State Building, but at least anyone can visit its pinnacle. 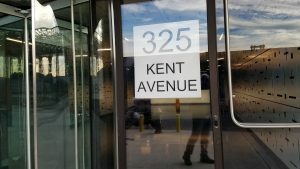 Has 325 Kent Avenue Solved the PTAC Crisis? There are PTACs hidden in there. PTAC, or Packaged Terminal Air Conditioners, have become a scourge among those with an eye for architecture. As New York continues to build unabated, our skyline, and PTACs, have experienced uninhibited growth. PTACs are an inexpensive way to heat and cool a room, or multiple rooms as the case may be. They avoid the cost of central air and heat, which can be extraordinary. 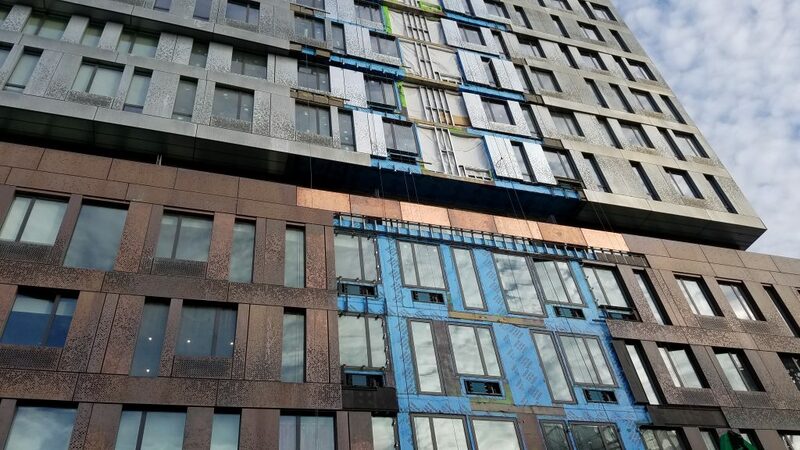 Just think of all the duct work, lost interior space, massive heating and cooling units, and maintenance required to heat and cool a large highrise. PTACs slice those costs into smithereens. PTACs cost less than $1,000 per unit, and more often in the range of $300-$600 per unit. Also, if one unit breaks, the loss doesn’t take the entire building offline. Further, such units are often found in affordable buildings, but they have crept their way into luxury buildings as well. Read moreHas 325 Kent Avenue Solved the PTAC Crisis?